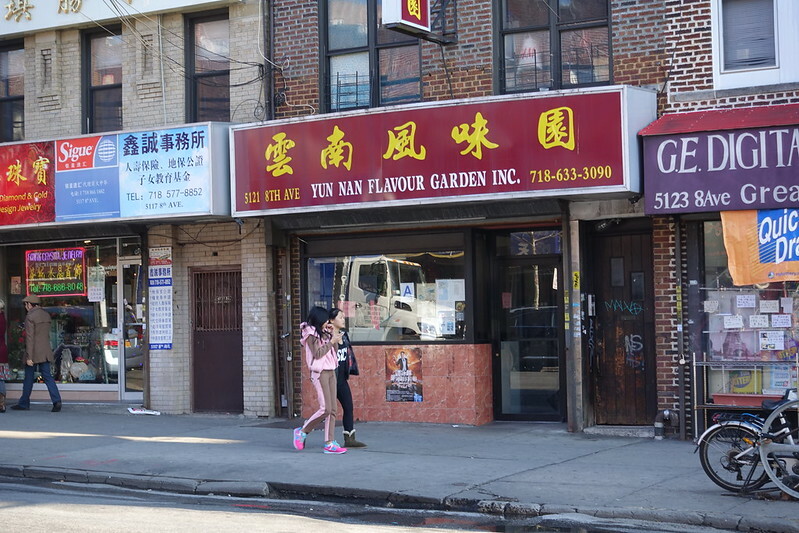 There’s no better way to start off a hungover 2016 than by heading to Sunset Park’s Yun Nan Flavour Garden. I grabbed my roommate and a fellow Flavour Garden addict and headed there this past New Year’s Day. 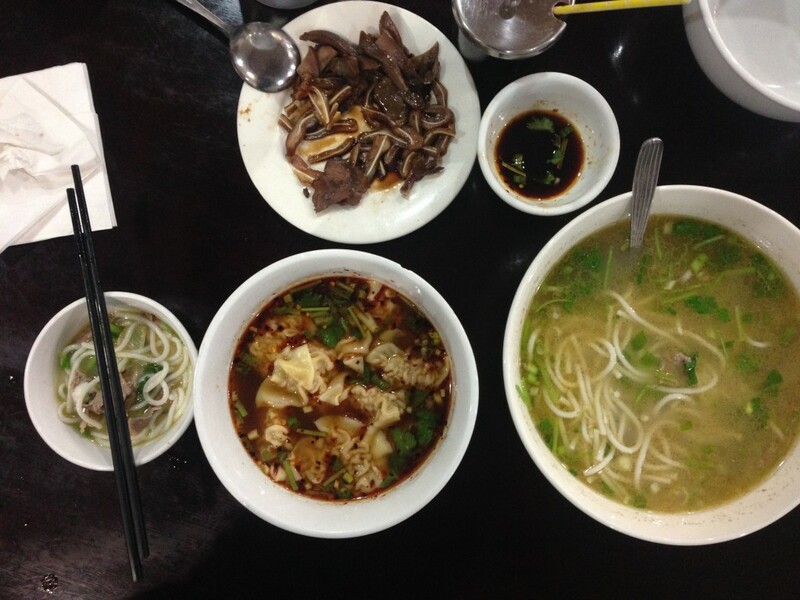 My standard two-person order is: the lu mein combo, which is a cold plate of ears, tongue and unidentifiable (to me) chewy cartilaginous matter served with a spicy dipping sauce; crossing the bridge noodles, a Yun Nan staple that is assembled on your table by the waitstaff who dump fresh beef and lamb slices, thick, round rice noodles, and a solitary quail egg into a steaming bowl of broth redolent with cilantro, white pepper and Sichuan peppercorns; and the pièce de résistance, the glorious hot and sour wonton soup. This is not your father’s hot and sour soup, nor for that matter, your father’s wontons. Yun Nan Flavour Garden’s version is made sour with tamarind, hot with chili peppers, and utterly delicious with a sauce that includes a healthy dose of yet more cilantro. The wontons are possibly the best in New York City, made fresh, their delicate, wrinkled skins loosely covering their lightly cooked porky innards. 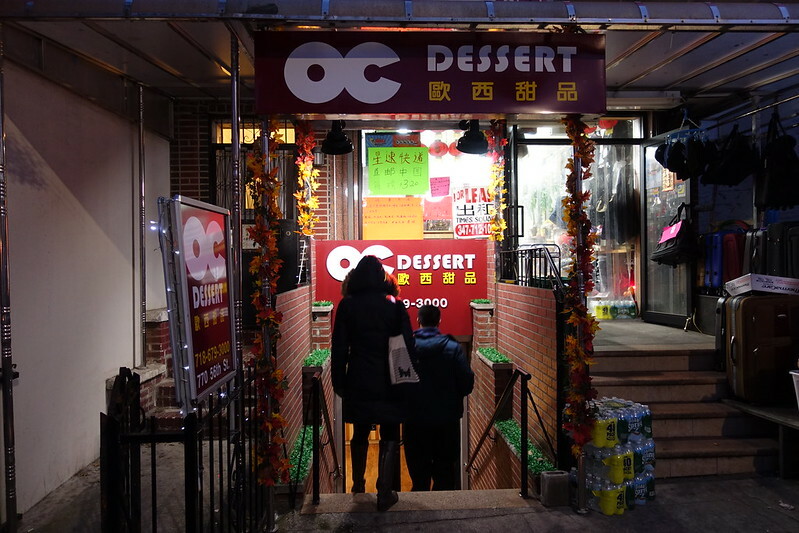 Afterwards we ventured into the depths of a new basement Chinese spot, OC Dessert, that we had spotted on the way to the restaurant. Waving off the minimally English-equipped waitress, who tried to foist chicken wings, hamburger, and cake on me (the token white person in the group), and lucky enough to have a fellow durian lover along, we ordered a concoction that included the aforementioned stinky fruit. Even the self-anointed durian disliker at the table enjoyed the dish, and we all agreed that it was better than Kulu Desserts up the street a ways.